Having moved on from the roar of the 5 piece band Calvin Party, songwriter John Donaldson has maintained his fury at the failings of society as JD Meatyard, but setting this within a quieter, acoustic setting across both his self-titled album (2011) and Northern Songs (2013). This month sees the release of his third album as a solo artist with Taking The Asylum out once again on the Probe Plus label, and all three wizards were keen to get an early listen. The first thing to note is that the sound of this new album is fuller than before with the additional vocals of Natasha Lea Jones (formerly of Pooka) and the violin of Dave Clarke joining forces with regular drummer/percussionist, Johan Visschers, and long-time guitar sidekick, Steven Lindley, giving more of a band feel to proceedings and allowing for more musical subtlety across the tracks. 1. We’ll Always Have New York The album opens to the wistful sound of a man seemingly singing to himself before the song proper kicks in and it is clear that the songwriter has no choice but to write these songs to ‘see him through’. Violin is immediately to the fore and you can almost picture the Hudson River flowing green. 2. It’s A Wonderful Day The haunting backing vocals make you question just how wonderful the day in question really is despite the cheery ‘yays’ towards the end of the song. There are also some fantastic flamenco type guitar flourishes to take you to an unnamed ‘faraway beach’. 3. Love Songs And Rage Another violin driven song that sounds like a traditional tune we should probably recognise, but don’t, with more expert acoustic guitar picking and lyrics like “the cross with a broken arm Jesus”. 7. Never Seen A Kid Born Bad A jaunty number with a great singalong chorus that manages to reference The Fall and at the same time echo Bob Dylan in his protest pomp railing against the bankers running away. Plenty more lovely guitar work here too. 9. Four Kids Playing On A Gaza Beach So much for the packed up rage… this short song follows on from the track Olive Tree from the first JD Meatyard album and uses the tune to the traditional song James Connolly to great effect to rail against the Palestinian situation. Starting with the audible disbelief from someone hearing about the Israeli attack on Gaza Port “it’s insane”, it then reverts to a simple backing of handclaps and lone violin to help tell the story. This is as direct as a political song gets and is ever more powerful as a result. What else needs to be said than “4 kids blown.. they’re blown to pieces”? However, it seems that it’s only JD Meatyard who’s saying it. An important song. 10. Taking The Asylum Another song we heard live and here again it’s a full band effort with great electric guitar bursting through the acoustic strum to soundtrack a pleading with society to sort itself out and see that the singer really isn’t wrong to complain. “You dress your kids in thongs and high heels, and you say that I’m strange…” An audio wtf. 11. Satisfied Heart This countrified love song really showcases the soul in the voice of JD Meatyard. There are echoes of Hank Williams all over this and great harmonies from Ms Jones. With a lovely melody and more Spanish style lead guitar, it is simply gorgeous stuff. 12. 10 Miles Low Great clattery electric guitar here underpins a rant about… well, it’s not always clear, but we can tell JD is clearly really pissed off. Despite the many ship references, I get the feeling the captain here is metaphorical and it is the political leaders who are leaving the “ship without a driver”. Top quality screaming occurs twice in this song. 13. We’ll Always Have New York (Reprise) After the angst of the previous song, here we have a timely reminder of the songwriter’s lot and that despite “whatever else happens”, we have to enjoy what life gives us. The bookending of the anger and frustration with such a positive song gives an overall warm feel to a coherent and compelling view of the modern world and the challenges we all face. So, there you have it. 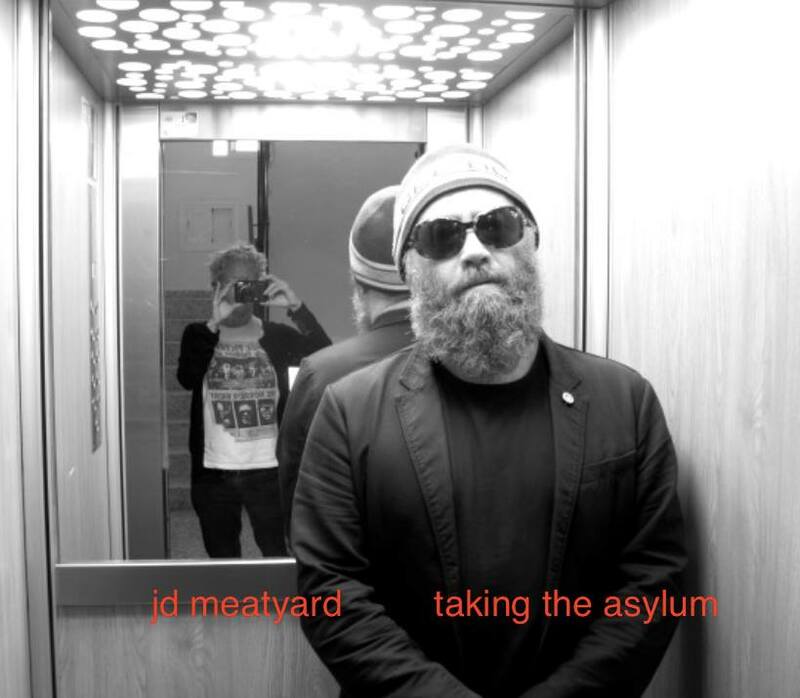 A unanimous wizard vote of approval for the latest from JD Meatyard. This is an album you need to have in your collection and you can get a copy here. 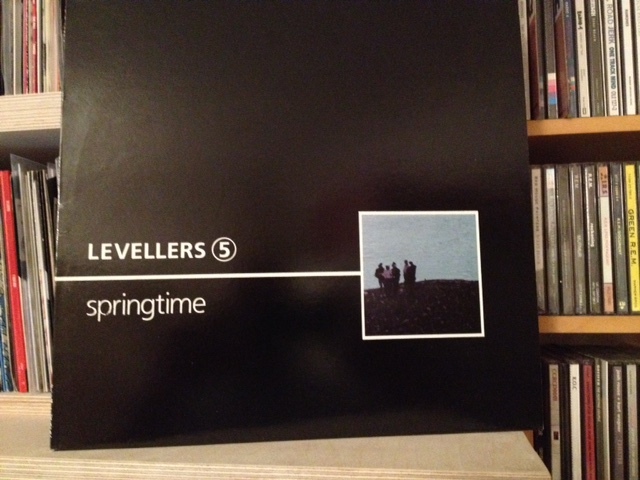 If you are quick enough, pre-orders are currently being packaged up with a vinyl copy of the Levellers 5 – Springtime. So what are you waiting for? We will also be talking about the album and choosing a track to play on podcast number 38, so look out for that. Finally, at the end of last year this video appeared with a track that was seemingly scheduled to appear on the album, but perhaps it didn’t quite fit. It’ll fit nicely here though, so here’s JD Meatyard’s tribute to the wonderful Hovis Presley. Posted by kickerofelves1 on March 15, 2015 in Blog posts and tagged calvin party, jd meatyard, levellers 5, probe plus.